Courage under Fire. Self-Sacrifice. Battles that Changed America. American history is full of men and women who have acted courageously when their families, communities and country needed them most. Henry Cabot Lodge and Theodore Roosevelt discovered they both loved telling the stories of these outstanding individuals who helped make America. They pared down their favorite stories to 26 and gave them as a gift to the young people of America in 1895. 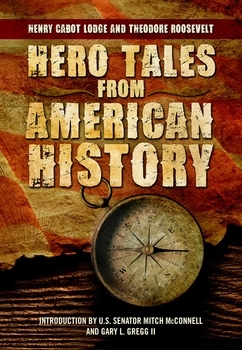 The McConnell Center at the University of Louisville is pleased to make this volume available again to America's youth in hopes that it inspires them to learn more of our history and encourages them to new acts of heroism. Henry Cabot Lodge (1850-1924) served in the United States Senate from 1893 until his death in 1924. He was one of the most important American statesmen of the early 20th Century and was leader of the Republican Party in the Senate. Among the books he authored were important biographies of George Washington, Daniel Webster and Alexander Hamilton. Theodore Roosevelt (1858-1919) was the 26th president of the United States. He authored more than 18 books, won the Nobel Peace Prize, and accomplished enough to earn his place alongside George Washington, Abraham Lincoln, and Thomas Jefferson on Mount Rushmore, our most recognized monument to American political heroes.